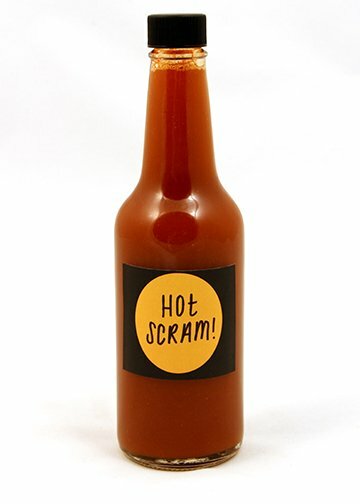 This hot sauce is used exclusively at the Scrambled Diner. It is comprised of Chilies, Vinegar, Salt and Spices and is intended to not only provide the heat of a hot sauce, but also enhance the flavor of the food it is used on. 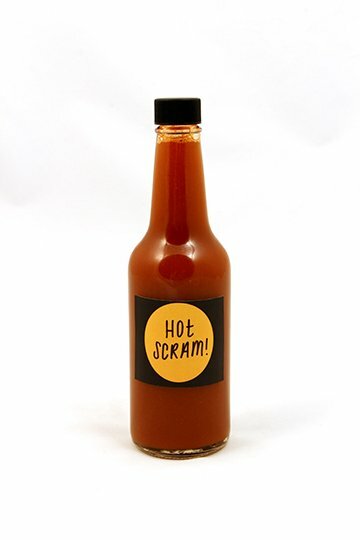 One taste of this delicious concoction and you will jump and and yell, “Hot Scram!!! That’s good Hot sauce!” Give it a shake and let us know.